We’d love your help. 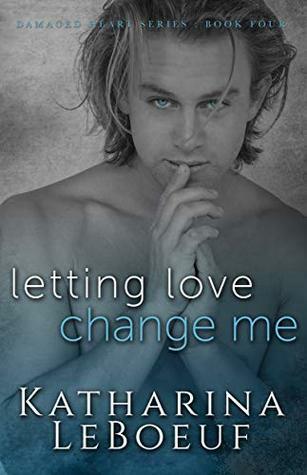 Let us know what’s wrong with this preview of Letting Love Change Me by Katharina LeBoeuf. He never expected to fall for a woman who had everyt More than half of Brody’s life has been filled with abuse and torment. He ran away from home at a young age, deciding that life on the streets would be safer. With no one to hold him back, he spent the summers in California and winters in Colorado, seeking the adrenaline rush he got from shredding waves and fresh powder. To ask other readers questions about Letting Love Change Me, please sign up. Brody & Paige have this love at first sight experience that takes them both a couple of years to come to terms with. Why so long you ask? Brody doesn't feel worthy of someone like Paige even thou he wants her desperately. Paige meets Brody at a time in her life when she is not available. After getting her heart trampled on. She see's Brody again, he was never far from her thoughts. They become friends and enjoy each other company... then fall in love.